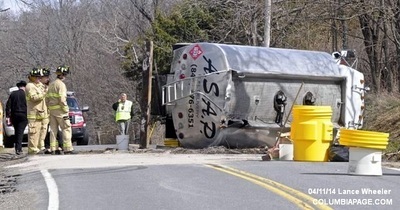 Columbia County 911 dispatched the Livingston Fire District and Northern Dutchess Paramedics at 9:45am for a reported fuel truck on its side leaking home heating oil near 287 Snyderville Road in the Town of Gallatin. Command immediately requested the Columbia County HazMat Team to respond. 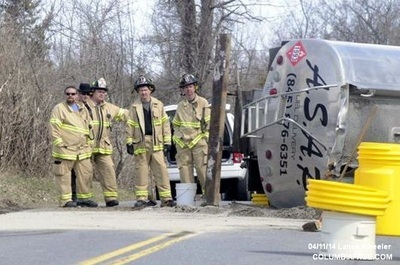 A LifeNet helicopter was placed on stand by but was not needed. 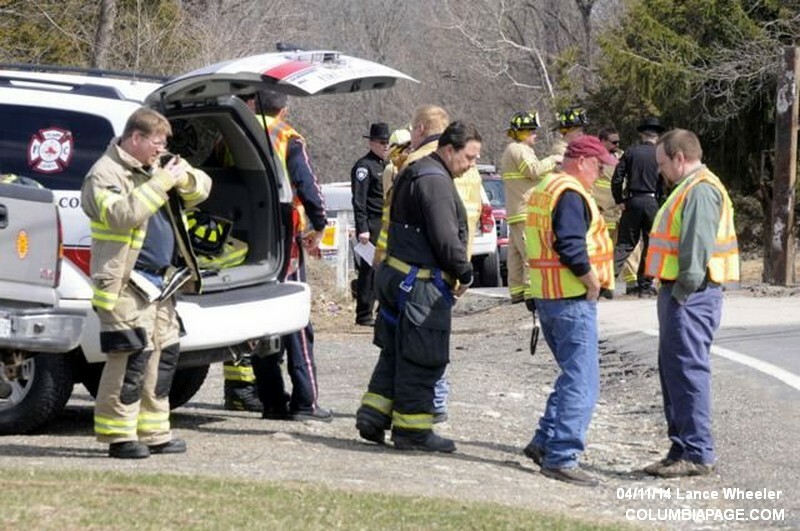 The operator of the truck was transported to Albany Medical Center by Northern Dutchess Paramedics. 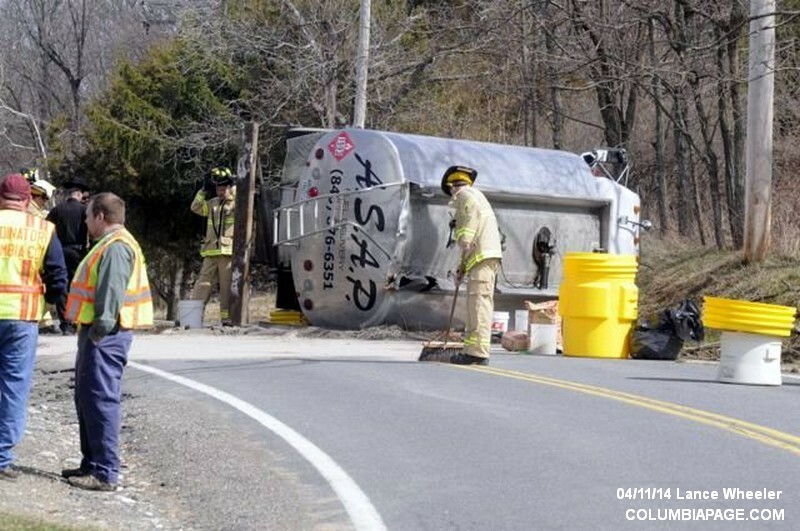 The Columbia County Fire Coordinators Office and Columbia County Emergency Management Office were on the scene. The New York State Department of Environmental Conservation was advised and responded. 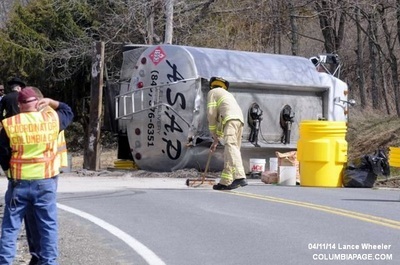 The accident is being investigated by the Columbia County Sheriff's Department. Livingston Firefighters were back in service at 3:09pm.